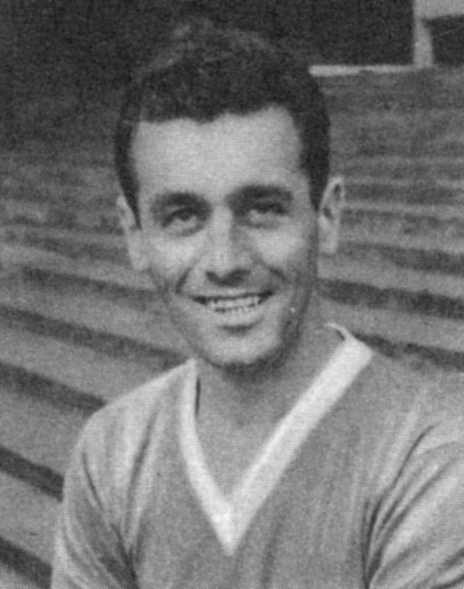 Tommy McDonald at Leicester in 1958. 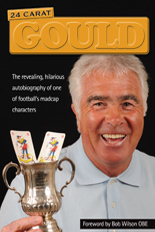 Derek Dougan is the most eye-catching name on the long list of players to have served both Wolves and Leicester. But it seems the period a few years before the maverick forward’s switch from East Midlands to West is when the most interesting cross-over occured between the two clubs. The links didn’t have to involve direct transfers but players – some more well known than others – who were at Molineux or Filbert Street in the 1950s or early 1960s often had a knack of turning up at the other some time after. 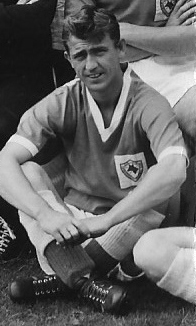 Tommy McDonald and Joe Baillie, for example, made no more than a modest impact at first-team level with Wolves, restricted as they were to six and one first-team appearances after being signed in different parts of 1954. Glasgow-born McDonald was recruited from Hibernian as cover for Johnny Hancocks – a fact which would explain why he went on the club’s ground-breaking tour of Russia the following summer when the senior man (like Dennis Bergkamp, a non-flier) was absent. He had by then made a scoring debut in the side in a 5-2 FA Cup victory at Grimsby and kept his place for the 2-0 League win at Blackpool seven days later. But, despite another goal, this time in a defeat at Newcastle the following autumn, the Scottish B international was to play only three times more while at Molineux – all successively in the spring of that season. He was sold to Leicester for £6,000 a little over two years after arriving in the Midlands and managed the useful record there of 27 goals in 113 League games before returning to Scotland to sign for Dunfermline in the year of Wolves’ most recent FA Cup glory. Baillie was landed with the challenge of dislodging Eddie Stuart or Bill Shorthouse from the full-back positions when he was recruited by Stan Cullis from Celtic, where he had gained a Scottish Cup winners’ medal in a 177-game stay also highlighted by recognition with Scotland B and the Scottish League. 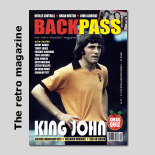 His only senior outing for Wolves, though, was in the 6-4 home League win over Huddersfield in February, 1955, and he left for Bristol City in the summer of the following year. But he pitched up back in the Midlands at Leicester, where his total of 80 League and Cup games spanned life in both the First and Second Divisions. Bradford Park Avenue were the other League club served by the powerful defender, who was born in Dumfries and sadly killed at the age of only 37 when his car skidded into the River Kelvin in Glasgow in March, 1966. Two more prominent Leicester-Wolves men are keeper Dave Maclaren and centre-forward Hugh McIlmoyle, who also happen to be two more Scots! The list of Leicester managers has contained more than its fair share of men from north of the border over the decades as well, with Dumfries-born Dave Halliday taking McDonald, Baillie and Maclaren to the Foxes and his successor Matt Gillies, who was from West Lothian, capturing McIlmoyle. They may have occupied opposite areas of the pitch but Maclaren and McIlmoyle still saw plenty of each other, team-mates as they were at Filbert Street at the end of the 1950s and at Molineux for the best part of two years in the mid-1960s. Unfortunately for Maclaren, he was a Plymouth player by the time of Leicester’s FA Cup final appearances against Tottenham (1961) and Manchester United (1963) but McIlmoyle was a surprise inclusion, controversial even, in the first of those defeats. 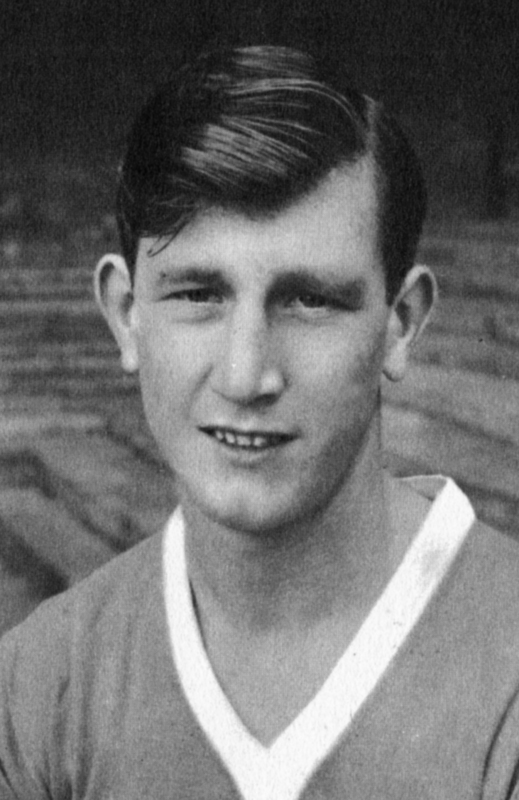 At 21, he was still considered a rookie but was preferred to Ken Leek, a Welsh international who had scored in every round on the way to Wembley, including two in rounds four and five, on his way to a season’s haul of 25. Which brings us to Gordon Wills, the first of two Wolves ‘fringe’ men to also have seen service at Filbert Street at that time. The left-winger was from Walsall, where he once had a shop, but had been on the books at Molineux without breaking through. He would almost certainly have played in that final against double winners Spurs but, having scored earlier in the run, had the misfortune to be injured in the semi-final against Sheffield United and see his shirt go to Albert Cheesbrough. He totalled 128 games for the Foxes, with 34 goals. “Gordon was a bit older than me but we were at Leicester at the same time,” says Brian Punter, the former Molineux youngster we have featured on this site once or twice before. “He went to Notts County from Wolves and had a first-team career there after being taken by George Poyser, who he would have known from Molineux. Gordon Wills in the blue of Leicester. Punter was frustrated in his own attempts to forge a first-team career in League football in the Midlands but frequently played in Leicester’s reserves. Among the multitude of other players to have been on the playing staff of the Foxes and the Wolves are John Farrington, Bob Hazell, Robert Kelly, David Kelly, Mark Venus, Iwan Roberts and even Billy Wright. Mark McGhee and Brian Little played for both clubs. * Trusted historian sources in the East Midlands tell us that Tommy McDonald died in Dunfermline in August, 2004. Posted on: Tuesday, April 15th, 2014.